Neutron stars represent natural laboratories where all kinds of processes and reactions take place in unusual and extremely dense matter. Neutron stars, being the compact objects of close attention for physicists and astronomers, are the sources of strictly periodic pulsed radiation. Every neutron star has its own unique characteristics of pulse frequency, radiation spectrum and intensity, but there are also the glitches and pauses that occur suddenly. All of this together raises many questions. For instance, what is the physics concerning these phenomena in general, and what changes can emerge in the properties of matter under extreme conditions specific to neutron stars? Investigation of some of these issues is one of the aims of this book, which is dedicated to the physics of neutron stars, in particular the influence of external fields and rotation on the properties of neutron stars, and reactions and transition of matter in its envelopes and depth. In this regard, the authors review the models of neutron stars involving not only local charge neutrality cases, but also the most recent models fulfilling global charge neutrality. The weak interactions are taken into account by requiring the â stability of the system. The strong interactions, processes and reactions are described on the basis of the methods of few-body and cluster physics in a wide range of densities. Both electromagnetic and gravitational interactions are accounted for when constructing the equation of the neutron star matter and the equilibrium structure of the system. The Einstein field equations are solved for static and rotating neutron stars’ equilibrium configurations. Basic parameters of neutron stars such as mass-radius relations, mass-central density relation and so on are calculated by fulfilling stability criteria required for stable neutron star configurations. The relativistic quadrupole moment takes into account the deviations due to rotation and deformation. In this respect, the class of axisymmetric static and stationary quadrupolar metrics, which satisfy Einstein’s equations in empty space and in the presence of matter represented by a perfect fluid, is considered. The physical conditions that must be satisfied for a particular spacetime metric to describe the gravitational field of compact stars are formulated. It is also important to develop powerful tools for investigating the processes in nuclear cluster studies in association with stellar environment, including neutron stars. These tools are different variants of microscopic cluster models, which allow one to study and to predict the dynamics of numerous processes and nuclear reactions taking place at various objects in our Universe. The effects of density oscillation in some layers of neutron star envelopes are investigated in the frame of Faddeev equations in the case of neutron resonances that appear in crystalline nuclei structures. The authors formulate new experiments of thermal neutron scattering on piezo crystalline targets to imitate oscillation effects in neutron star envelopes. 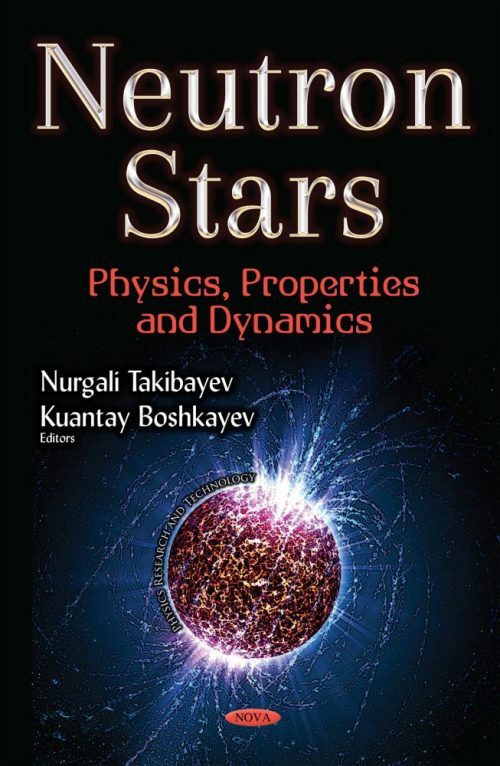 The main purpose of this book is to investigate processes, phenomena and reactions in neutron star physics with fundamental interactions described in a self-consistent manner to highlight some interesting effects using few-body and other analytical/numerical methods.